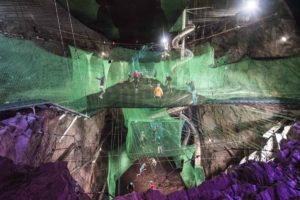 For readers who are into a bit of adventure, you might have already heard of Zip World, a fantastic adventure company that opened in the area during 2013. With three different sites (Blaenau Ffestiniog, Bethesda & Betws y Coed) and 11 adventures, Zip World has something for everyone. 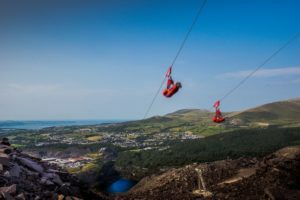 Bethesda to ride Velocity, which has been described as “The Nearest Thing to Flying” – using the longest zip line in Europe, which also just happens to be the fastest in the world. 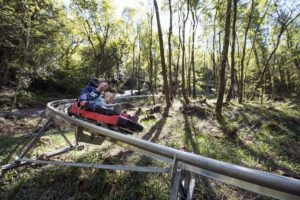 At Zip World Fforest in Betws y Coed families can jump about at Treetop Nets, experience Zip Safari through the canopy of trees, ride Skyride, Plummet and the new Fforest Coaster (opening soon). Who knew that there was such an acclaimed and adrenalin fuelled fun sport located right here in North Wales. With recorded speeds exceeding 100mph, these 500ft high zip lines attract a whole host of visitors from first timers, to seasoned adrenaline junkies. This attraction set in stunning Snowdonia has also attracted much media attention from both TV and printed publications. 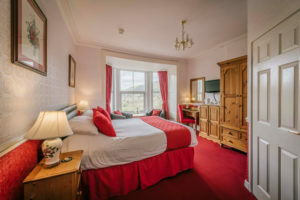 Visiting Zip World is the perfect excuse to stay in our beautiful bed and breakfast, Bryn Bella Guest House, which offers superb bed and breakfast accommodation in some of Snowdonia’s most beautiful scenery. Experience a tranquil contrast to any adventure holiday with peaceful lakes and mountains, one of which includes Snowdon which is the highest mountain in Wales. 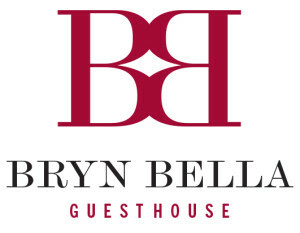 Bryn Bella Guest House is only a short walk from the heart of Betws-y-Coed itself too, where you can stroll around the local village.